Congratulations to our Dr. Robert Crone who is now serving as Acting CEO of Sidra Medicine during the transition of the hospitals outgoing CEO, until a permanent CEO is appointed. 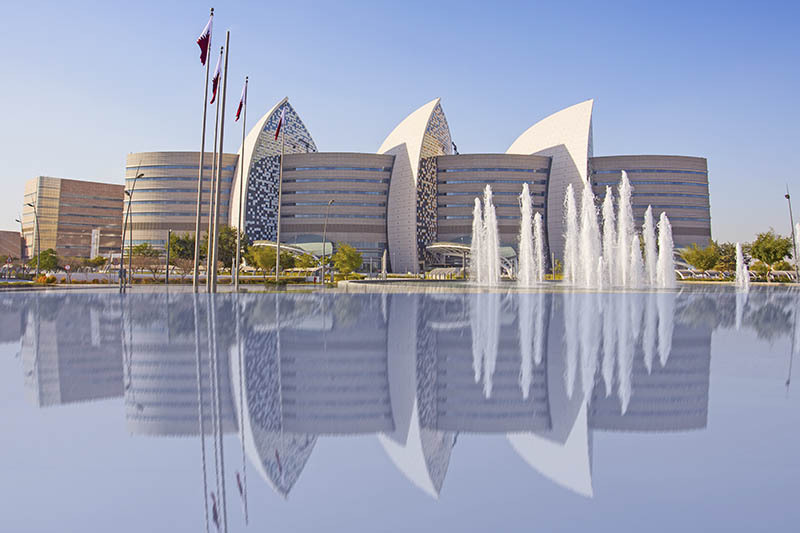 Sidra is a tertiary hospital in Qatar providing world-class personalized healthcare for women, children and young people. It will be a tremendous opportunity for Dr. Crone who is also WCM-Q’s Vice Dean for Clinical and Faculty Affairs to collaborate closely on academic issues and further strengthen the relationship between WCM-Q, Sidra, and other clinical facilities in Qatar. According to data gathered by Class Central, around 20 million new learners signed up for their first MOOC in 2017, fewer than the 23 million new learners who registered for a MOOC in 2016. The total number of MOOC learners is now 78 million. Though growth in new learners has stalled, the number of paying users has increased. As the MOOC platforms continue their quest for sustainable revenue models, MOOC providers have begun charging not just for certificates and other credentials, but for access to content. The big MOOC providers now have a product at every price point—from free to million-dollar licensing deals with employers. Click here for the full article on Class Central. The Carle Illinois College of Medicine in Urbana-Champaign, which will welcome its first class of students in July, bills itself as the first medical doctorate program in the nation designed from inception to integrate engineering with medicine. As medical education evolves and the use of technology becomes more prevalent, will this new approach be the future of medical schools? Read the Chicago Tribune article here. The University of Illinois at Urbana-Champaign and Carle Health System have teamed up to create a new medical school that makes technology and engineering a core part of its curriculum. From all of us at Strategy Implemented, we wish you a prosperous and brilliant new year. 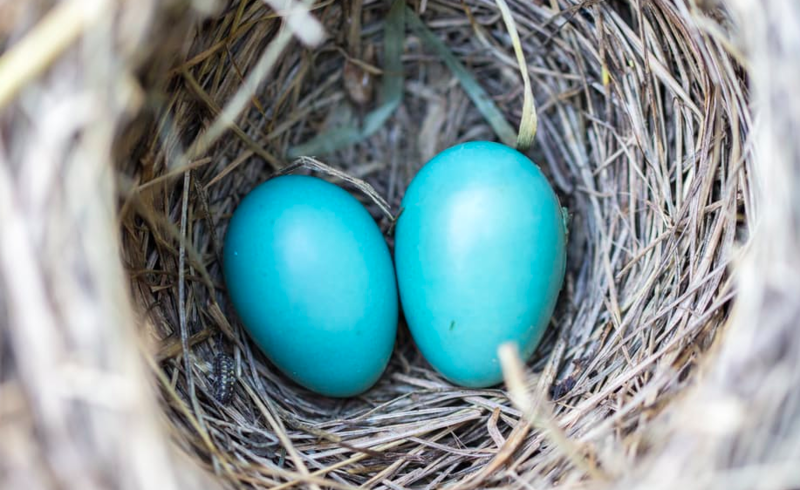 We are looking forward to bright ideas hatching in 2017. Ground breaking ceremony for a classroom building, UVI School of Medicine. Dr. Ben Sachs, Dean of UVI School of Medicine. Photo by St. Croix Source. The UVI School of Medicine aims to be the first accredited, English-speaking medical school in the Caribbean. The classroom building on St. Thomas is designed to house an anatomy lab that will allow for cadaver-based dissections, a 100-seat lecture hall with smart classroom technology, a 1,200-foot clinical skills lab for group instruction and six individual clinical skills rooms, large seminar rooms and more than 5,000 square feet of administration space. 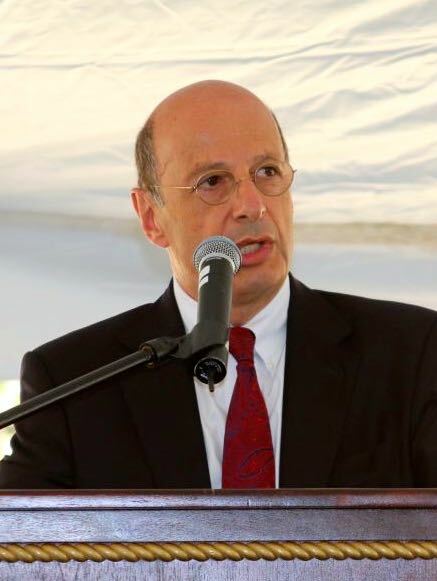 Dr. Ben Sachs, Dean of UVI School of Medicine. Photo by St. Croix Source. 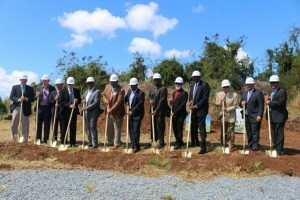 For more articles about the ground breakings, click here and here. 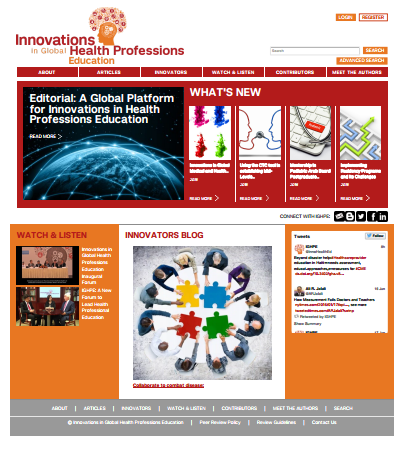 The SI Digital Media team had the privilege to partner with Weill Cornell Medicine – Qatar to create www.innoHealthEd.com. The site is home to the academic journal, Innovations in Global Health Professions Education, and will be a preeminent forum for the presentation and discussion of innovative concepts in all areas of healthcare professional education. The platform has videos, podcasts, and of course, scholarly articles. 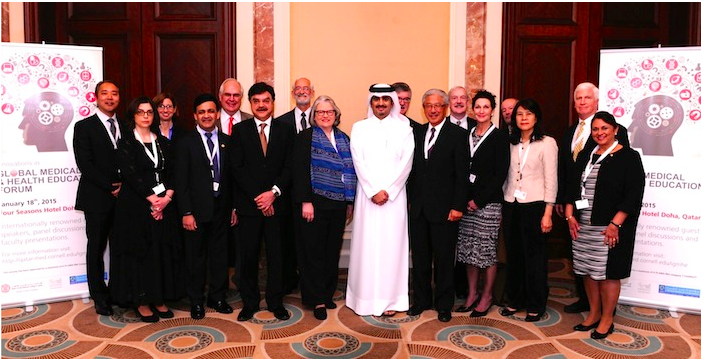 On January 18, 2015, we at Strategy Implemented had the pleasure of joining medical and educational experts who convened in Doha for the Innovations in Global Medical and Health Education (IGMHE) Forum, hosted by Weill Cornell Medical College in Qatar (WCMC-Q). Both IGMHE speakers and the audience were invited to discuss the global need to address the shortage of well trained healthcare professionals in designated regions of the world, and the opportunities and challenges presented by a wide range of both global and local innovations in medical education, assessment, licensing, and program accreditation. Presentations above can be found on the WCMC-Q website. The Forum was coordinated by WCMC-Q’s Division of Continuing Professional Development and sponsored by the Innovations in Global Medical and Health Education Journal, an open-access web-based publication issued by Bloomsbury with the support of Qatar Foundation. On behalf of all of us at Strategy Implemented, Inc., we are excited to announce two sessions that SI have helped organized at the 2014 AAMC Annual Meeting. The sessions are part of the Global Health Learning Opportunities (GHLO®) collaborative session series under the direction of our AAMC colleague Dr. Jenny Samaan. The 60 minute sessions – Collaborative Approaches to Preparing Global Physicians and Implementing Technology to Advance Medical Knowledge Across Borders described below discuss innovative models and technologies that impact the globalization of medical education and will be moderated by SI’s Bob Crone and Amanda Pullen respectively. This session will highlight three different medical school models that prepare global physicians: 1) The West Virginia University Global Health Program; 2) A creative partnership between an Australian medical school, Queensland University, and a US hospital system – Ochsner Health System jointly deliver an Australian medical degree for US citizens and permanent residents; 3) A partnership between Ben Gurion University of the Negev in Israel and Columbia University that jointly manage the Medical School for International Health that emphasizes cross cultural and global medicine and sends almost all of their students to developing countries in their final year. After a representative from each program describes the characteristics of their respective program, the moderator and the panelists will conclude with a discussion to address various challenges, lessons, trends and recommendations for preparing global physicians. Understand three very different medical education models and ways of engaging partners. Understand what goal each is addressing and how it is contributing to developing global physicians. Describe the motivations of students to engage in these programs. 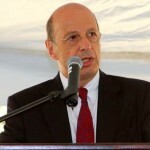 Moderator: Robert Crone, President & CEO of Strategy Implemented, Inc. This session will provide attendees with an opportunity to hear about and engage with 4 different innovations that utilize technology for collaborative learning and information sharing. Colleagues in Care’s work utilized IBM’s Cloud technology to share medical information and volunteer wisdom in Haiti. Current work on grassroots hypertension training is challenging them to identity new modalities for transmitting content and employing technology for collaborative learning. Medical students Shiv Gaglani, and co-founder Ryan Haynes, have created Osmosis, an innovative, web-based platform that combines lectures, classroom-created content, study guides and push notifications with practical and clinical cases in advance of exams. This new tool is engaging medical students with the potential to greatly expand medical knowledge and incorporate global contributions. The third program is Stanford University’s Center for Global Health and Johns Hopkins University’s Berman Institute of Bioethics, Doris Duke Foundation-funded on-line course entitled Ethical Challenges in Short-Term Global Health Training. Finally, the University of Minnesota has developed GAPS (Global Ambassadors for Patient Safety)- an online course, with a series of modules, that prepares health professions students for international global health placements, focusing on patient safety, ethical considerations, and essential cross cultural skills. Understand ways in which technology is being used for information dissemination and community building from the four programs highlighted. Discover how their medical students can benefit from the tools created. Share ways in which their medical school is creating/utilizing technology innovatively. Moderator: Amanda Pullen, Senior Vice President at Strategy Implemented, Inc. This panel discussion will provide an opportunity for attendees to explore three different non-profit organizations’ approaches to partnerships that promote global health and medical education and training across the continuum. Collaborative engagement between Global Health Learning Opportunities (GHLO), Consortium of Universities for Global Health (CUGH) and Global Health Education, Training and Service (GHETS), supports each program’s primary focus on students, faculty members and health care practitioners, respectively, while simultaneously creating new opportunities for expanding networks and capacity strengthening. Time will be allotted for attendees to discuss with each other, and with presenters challenges they face when developing or maintaining international collaborations. Distinguish the goals and structures of the three organizations engaged in global health while understanding their complimentary roles. Reflect upon their dialog with others regarding challenges to meaningful international engagement. Identify possible ways of engaging with, or contributing to, the expansion of these programs. This update session will introduce and review changes in the network of institutions facilitating international mobility for final-year medical students while promoting faculty engagement and innovation towards building global awareness and understanding. 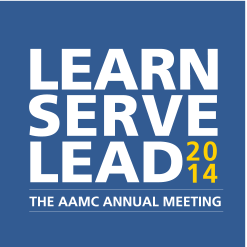 For more information on how to register for the 2014 AAMC Annual Meeting and the complete meeting agenda, click here. I am pleased to share with you news on an exciting peer-reviewed, open-access, international education journal that launched this past December. 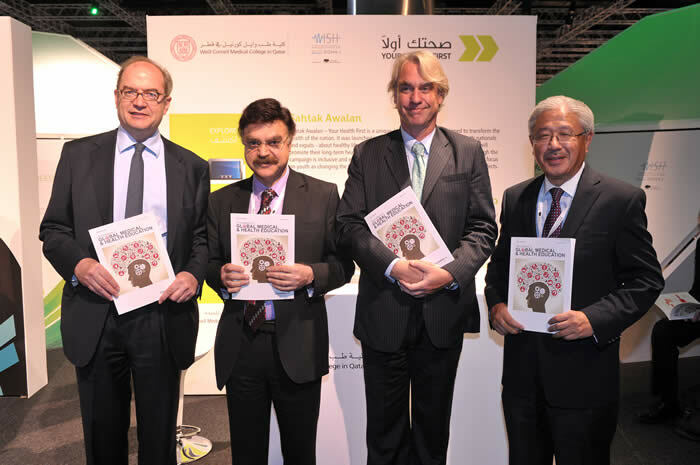 Entitled “Innovations in Global Medical and Health Education (IGMHE), it is published jointly by the Weill Cornell Medical College in Qatar and Bloomsbury Publishers with the support of the Qatar Foundation. I had the honor of serving as an author and guest editor of the inaugural issue. It has been a pleasure to collaborate with the journal’s visionary Chief Editors, Dr. Javaid I Sheikh, Professor and Dean of Weill Cornell Medical College in Qatar and Dr. Victor Dzau who is President and CEO of Duke University Health System and Chancellor of Health Affairs and Professor of Medicine at Duke. These individuals are leaders in the globalization movement. 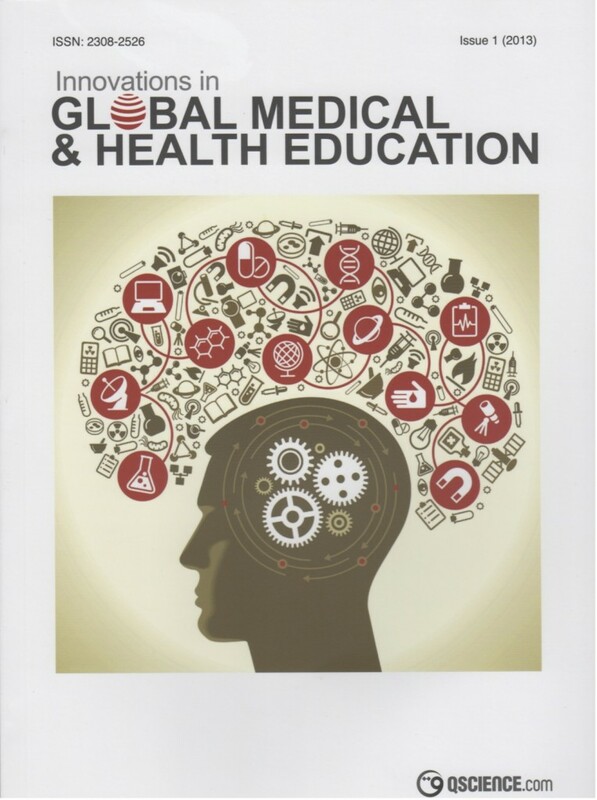 As a member of the IGMHE editorial board, I am excited to see this new journal facilitate and encourage an ongoing dialogue regarding the nature, pace, and implications of breaking down traditional barriers concerning the delivery of undergraduate and graduate medical education and its impact on healthcare. I want to thank and congratulate all my colleagues and featured authors who contributed to this effort. Bring high quality, evidence-based content and innovative thinking to this important debate. I invite you to visit the journal online here and invite your comments! 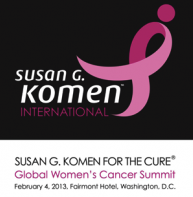 Recently, my colleague Dr. Amanda Pullen and I were invited to participate in the Global Women’s Cancer Summit in Washington, DC sponsored by the Susan G. Komen International, a new and growing initiative of the Susan G. Komen Foundation Race for the Cure. The conference brought together leaders in health and cancer care from around the world. Keyote speakers included Komen Founder, Nancy Brinker, former First Lady, Laura Bush, NBC Medical Editor, Nancy Snyderman, Susan G. Komen International head, British Robinson, as well as key leaders in cancer care from around the world. 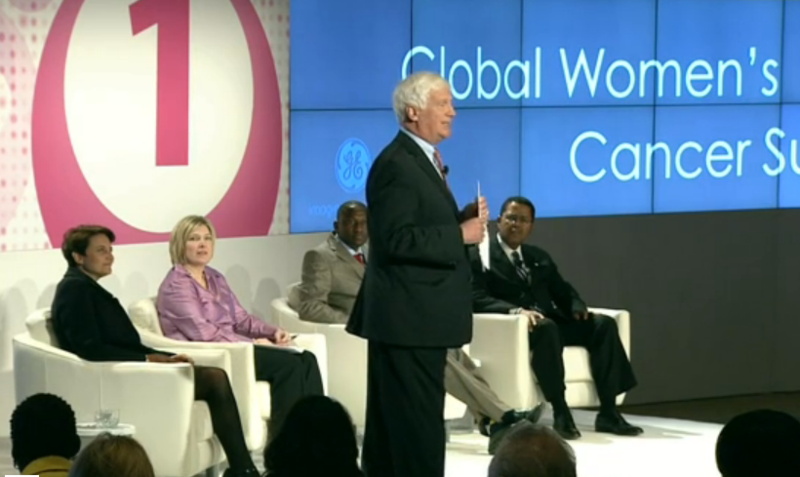 The conference served to launch a new effort by the Komen Foundation, led by Komen International Vice President Ms. British Robinson, to extend its reach globally in its quest for the prevention, early diagnosis, and ultimately a cure for breast and cervical cancers which are increasingly impacting women in low and middle income countries around the world. Discussions included defining the scope of the problem world-wide, strategies that are currently working, new strategies needed, as well as challenges faced in implementing programs for screening, prevention and treatment in resource constrained communities. Have they been maximally effective in their efforts? How do we better coordinate their efforts? What is the role of LMIC Governments? 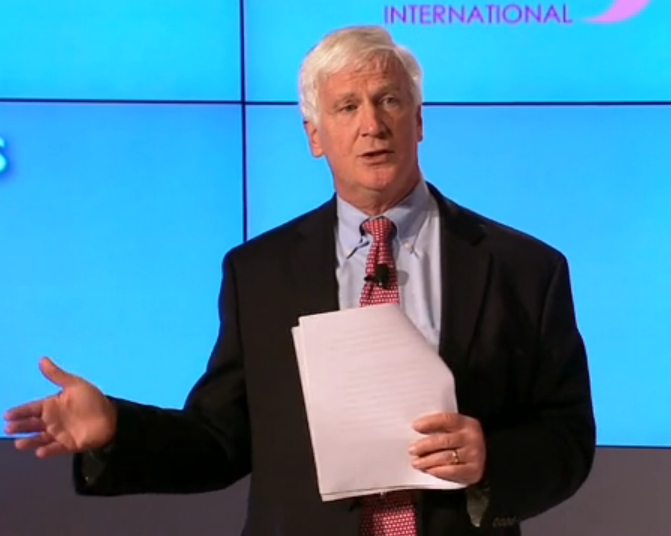 How have LMIC governments responded effectively? What policies are in place and what else is needed? How do we effectively implement policy at the country and community level? How do we ensure that policies and strategies can be practically implemented and effectively used? Are time-based goals practical and feasible in resource constrained environments? 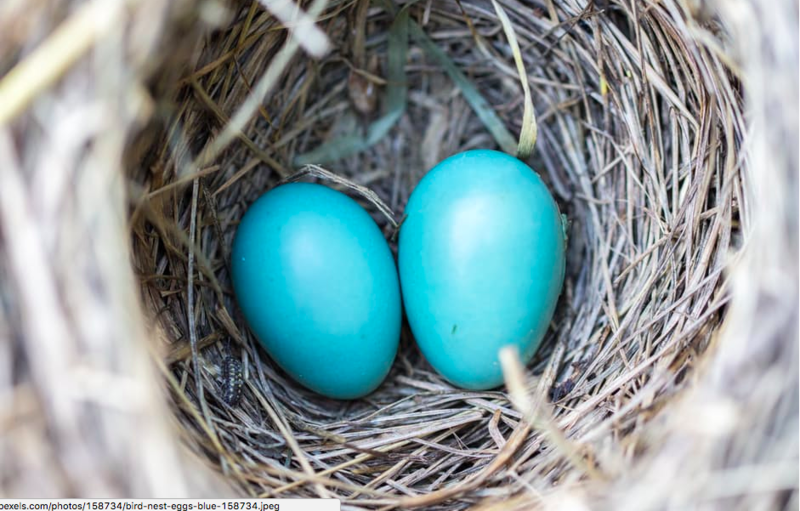 Should BHGI guidelines be linked to financing? How do we make major public health advances such as HPV vaccine affordable in LMICs? Are there strategies for supporting procurement of vaccines, medication, equipment & materials? What sources of financing are available? What are strategies for training and supporting healthcare professionals and building local capacity? Are there examples of successful implementation of training programs and capacity building? What is the role of technology in addressing human resource gaps and in developing and implementing practical solutions? How do we best educate the public and what components of cancer prevention, public communication, screening, diagnosis and therapy can be centralized and/or accomplished remotely? What are examples of effective strategies for enhancing public awareness to encourage screening and early diagnosis? What are some real-world examples from our panelists? The day was most fruitful for the exchange of knowledge, the awesomeness of the task at hand, the relating of some great success stories and the extraordinary and inspiring commitment of many individuals, institutions and governments in addressing this very important public health challenge. According to the World Health Organization, of 57 million global deaths in 2008, 36 million, or 63%, were due to non-communicable diseases (NCDs). The four main NCDs are cardiovascular diseases, cancers, diabetes and chronic lung diseases. The burden of these diseases is rising disproportionately among lower income countries and populations. For example in 2008, nearly 80% of non-communicable disease deaths — 29 million — occurred in low- and middle-income countries with about 29% of deaths occurring before the age of 60 in these countries. The leading causes of NCD deaths in 2008 were cardiovascular diseases (17 million deaths, or 48% of all NCD deaths), cancers (7.6 million, or 21% of all NCD deaths), and respiratory diseases, including asthma and chronic obstructive pulmonary disease (4.2 million). Diabetes caused another 1.3 million deaths. It is estimated that breast cancer will strike more than 1.3 million women annually over the next 20 years, killing 11 million of them, with most new cases coming in countries least prepared to deal with them. Cancer knowledge and medical resources vary significantly from country to country, particularly in the most resource constrained communities. Women in many of these countries still face stigma and shame when they are diagnosed and have nowhere to turn for treatment and support. According to a study published recently in the Annals of Oncology, there were an estimated 530,000 cases of cervical cancer and 275,000 deaths from the disease world-wide in 2008. In spite of effective screening methods it remains the third most common female cancer ranking after breast (1.38 million cases) and colorectal cancer (0.57 million cases), however, cervical cancer is the leading cause of cancer-related death among women in Eastern, Western and Middle Africa; Central America; South-Central Asia and Melanesia. New methodologies of cervical cancer prevention, diagnosis and treatment should be made available and accessible for women of all countries through well-organized programs. Recognizing the growing global impact of breast and cervical cancer, the shared challenges among countries worldwide, and the value of coordinated advocacy in the battle against these diseases, our expert panelists will be discussing ways to advance the common cause of breast and cervical cancer prevention, screening, early detection and management in low and middle income countries of the world. Once again, the experience of partaking in an event that brings together key thought leaders to explore innovation and best practices in research, science and program implementation of global breast cancer care, treatment and prevention is truly inspiring. Our thanks to the leaders of the Susan G Komen Foundation for their vision, industry and commitment to extending their mission world-wide.